We are having a great response to our current Fall 2016 registration. Several courses have been over subscribed, and have wait lists. But there are spaces available in many courses. We like to draw attention to a few courses which we call the Hidden Gems. These are not as well known as some of the courses which are presented by well-known instructors or are courses offered for the first time, or in some way different to other courses. Space is available in all of these courses .... no suspense in knowing whether you can get in. Please browse these Hidden Gems by scrolling down the page, or click on any link to jump directly to that Gem. Sign up at Learnmore.duke.edu or Call our registration office Monday through Friday, 8:00 am to 5:00 pm, EST at 919-684-6259. The Cold War era known as "Detente" featured an extraordinary array of characters like Richard Nixon, Henry Kissinger, Leonid Brezhnev, Jimmy Carter, Zbigniew Brzezinski, Salvadore Allende, Zhou En Lai, Deng Xiaoping, Anwar Sadat, the Students for a Democratic Society, and the Afghan Mujahideen, as well as tranformative events such as the opening to China, the Yom Kippur War, the SALT I Agreement, the Iranian Revolution, and the Soviet invasion of Afghanistan. ​This lecture/discussion class invites you to relive this remarkable and divisive period. Check out the course website. Look in the catalog, page 11, course # 2043. 8 Mondays, September 12–November 14 (please note dates; no class Sept. 26), 1:30–3:00pm, Westminster Presbyterian Church, 3639 Old Chapel Hill Rd, Durham. Click on image to see a large size outline of the course. From the scroll to moveable type and mechanized printing, this course will follow changes in European book culture from 300 BCE to 1575 CE. We’ll study such topics as how and why the codex replaced the scroll and what role the book played when literacy was limited. Artists’ portrayals of books will be used to reveal cultural attitudes. You will be invited to do Internet searches outside of ​class and bring images to share and discuss. One class will be devoted to the St. John’s Bible project and will be led by a visiting art historian. In another, you’ll visit the Rubenstein Rare Book and Manuscript Library. ​Click on either image to see a beautiful view of the week by week content for this course. Look in the catalog, page 20, course # 2092. 10 Tuesdays, September 13–November 29, 1:30– 3:00pm, The Bishop’s House. Quilting in its current western-style manifestation in Japan is a comparatively new phenomenon, barely five decades old, but the three elements that are basic to the American quilting tradition--patchwork, applique, and quilting--were all individually present in Japan for centuries, yet rarely used in combination prior to the onset of interest in American quilting. Their presence, however, gave a solid basis for the strong Japanese interest in quilting today, and these three elements have now taken on a very different persona as quilters combine them in both traditional and nontraditional modes. As part of this course, we will look at these traditional patchwork precedents that helped to foster the rapid surge of interest in American quilting. We will also examine the Japanese cultural and social context in which it developed. Of special interest will be the differences and similarities found within the quilting communities in the two countries, and we will explore whether the Japanese adoption of quilting included wholesale acceptance of the social and cultural components that are part and parcel of quilting in America. These differences include how women learn to quilt, as many Japanese women learn under a strong hierarchical system unknown in America. This represents one of the most profound differences between quilting in the United States and Japan. 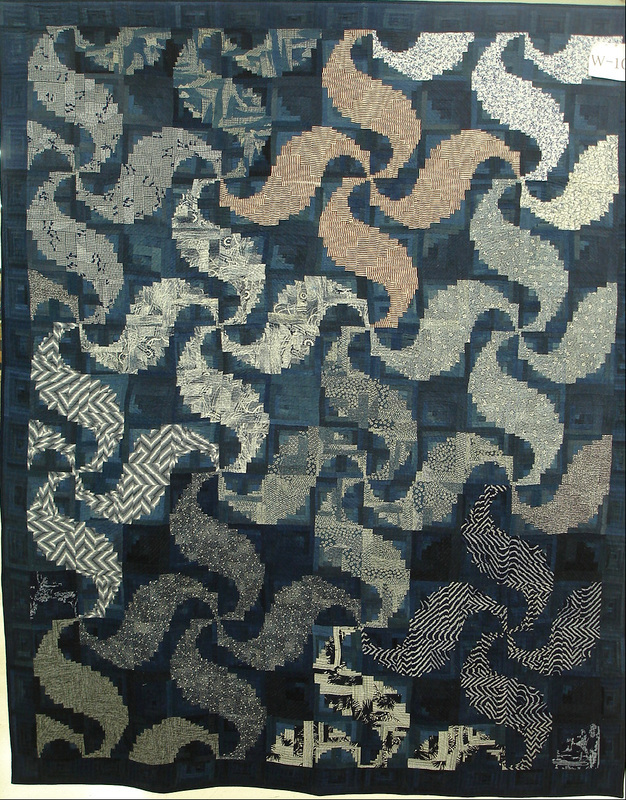 We will also look at the aesthetics of quilt design in Japan, from the initial slavish copying of the traditional American quilts to the gradual development of a unique style that has been an inspiration to quilters everywhere. 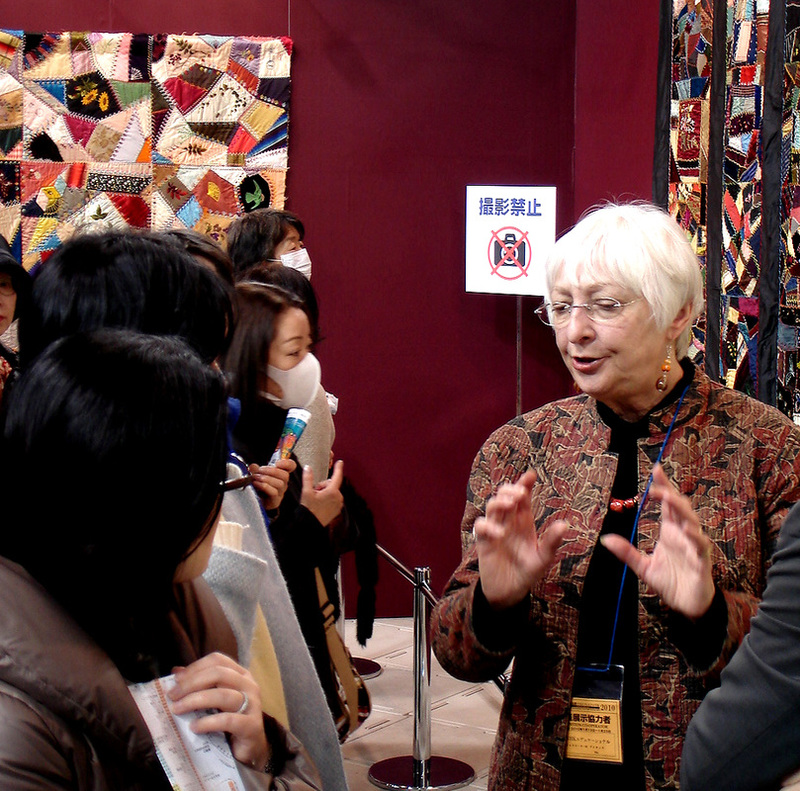 The introduction of quilting in Japan has provided an excellent example of a successful two-way exchange as American quilters are stimulated and energized by the changes that Japanese quilters have made in this art that was once viewed as an almost exclusive American domain. 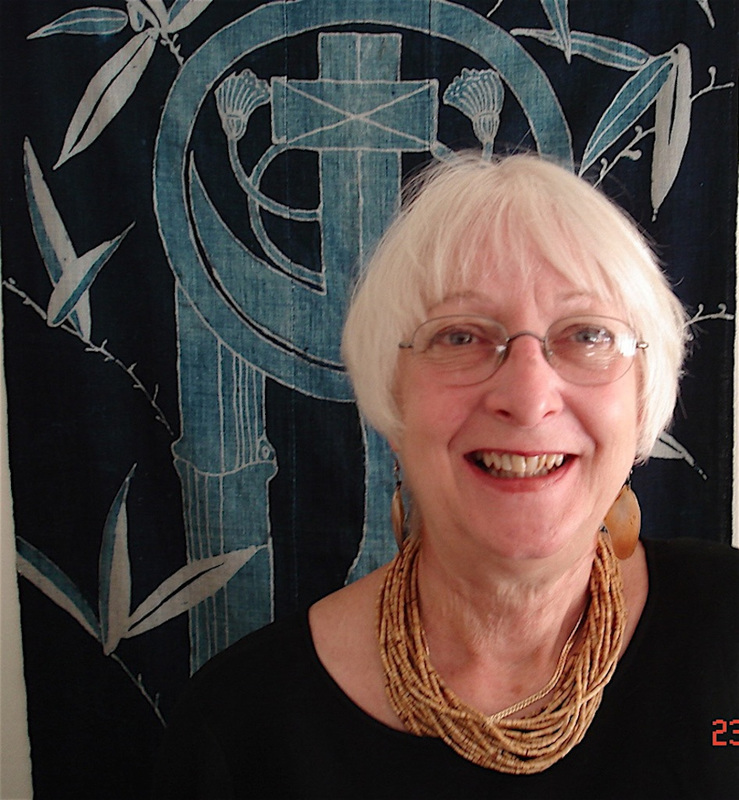 Using her experience over eight years as a judge for the Japan Quilt Grand Prix contest as well as information gathered during her years of research, writing, and lecturing on Japanese quilts, Jacqueline Atkins will discuss the many elements that make up Japanese quilting today, where and how it differs from quilting in the West, and the ongoing evolution of the art. 4 Tuesdays, November 1–29 (please note dates), 9:00–10:30am, The Bishop’s House. If you enjoy books and working with children, and aren’t afraid of an iPad, you will enjoy this course. First you will learn some very easy apps, such as iStopMotion (five minutes to learn), and then will practice creating green screens (think weather reports), stop-motion animations, and graphic stories. Pairing up with a charming second-grader, you will choose a book together and use these tools to create a digital media piece to entice others to read the book. You will find the elementary school students very helpful in making the most of the technology. ​Click on the video to play it and see how much fun you could have on this course. And click to look at this article about the course. Look in the catalog, page 53. Course # 2058. 10 Fridays, September 16–December 2, 1:30–3:00pm, E. K. Powe Elementary School, 913 Ninth St, Durham. Look in the catalog, page 12. Course # 2052. 2 Mondays, November 14 & 28, 2:00–5:00pm (please note date and times), Judea Reform Education Building. This course explores digital technology and the impacts - social, cultural, and economic – on society. The content is part of an ongoing issues in law and technology curriculum taught to professionals. 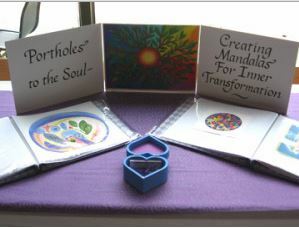 Portions of it have also been presented to middle-school students to broaden their perspective on advancing technology. It covers the following topics. 1. Privacy: What is privacy? How does privacy, its laws, and uses impact our daily lives? We will cover examples of privacy in our digital communications, banking, rights as citizens, and privacy as a society. In our discussions, I will ask the class to describe what they believe privacy is, and what concerns they may have about privacy. 2. Cyber crime and security: What is the difference between spam, phishing, viruses, and hacking. How many data breaches have occurred since 2014 and to whom? What does this type of crime mean to our larger society? How can we protect ourselves from this kind of crime? 3. Big data: Nice buzz word but what is big data and why do you care? We will discuss the changes in data and how the data is used for you and against you. 4. IoT: The Internet of Things is rapidly moving market. It is expected by the year 2025, there will be more than 50 billion IoTs on the market. What does this mean for privacy, marketing, security, and artificial intelligence? 5. Social media: Facebook, Twitter, Instagram, and many other social media options retain the posts for an interminable amount of time. Once you post, do you own that content? What is the relationship between your rights and your social media friends? 10 Thursdays, September 15-December 1, 2016, 3:15-4:45 pm, Judea Reform Education Building. Click on image to load a video of Orrin Pilkey. ​Internationally known environmentalist Orrin H. Pilkey, Jr. and his colleague, Alex Glass will lead a limited group of OLLI at Duke members to the Outer Banks, During OLLI ’s fall break, October 26-29. We’ll discuss barrier island development and the effect of climate change. We’ll investigate the condition of the island and its beaches. Be alert! We may see some of the wild horses of Shackleford. Two lectures prior to the trip , set for Saturday October 1 & Saturday Oct 22, 10:30 AM at Croasdaile’s Ponder Auditorium, are open to those who do not plan on going on the field trip. Just select section 3, Lectures only when registering. Lessons from the Sand , a book co-authored with son Charles Pilkey, will serve as the handbook for the trip and is available at the Regulator Book store. Click on the image to watch a video of Orrin Pilkey explaining what will happen on this innovative course. This will load a video file ; click that file to view the video. Please be patient as the video is loaded , it may take tens of seconds. The class fee includes 3 nights at Trinity Center, Pine Knoll Shores, NC ; all meals, and boat trip around Shackleford Island aboard the Crystal Coast Lady. Wednesday–Saturday, October 26–29, Trinity Center Conference Center, 618 Salter Path Rd, Pine Knoll Shores, NC. Maximum: 30. You need neither a pen nor a paintbrush to enroll in "The Pen and the Paintbrush: A Dialogue Between American Literature and Art" (Course ID 2077). Click here to see week by week the works we shall discuss in this class. In this class, we shall be looking at selected pieces of American literature and art with the goal of comparing and contrasting the different ways the artists reflect their times, deal with issues such as gender, race, and class, and engage readers/viewers. The three novels we will be reading are listed below. If you prefer to use a library book or download a book , that will be fine. You also can get online used copies of these novels at substantial discounts. ​See the weekly schedules for the short stories and poems we will be reading and their on-line links. ​Look in the catalog, page 15 , course # 2077. ​10 Tuesdays, September 13–November 29, 9:00– 10:30am, Judea Reform Education Building. For those of you who like to work with textiles, who wouldn’t want to design a beautiful silk scarf created from collected nature items? Or to use as quilting squares? Or to be used for making small gifts, such as eyeglass cases, cell phone holders, or tote bags? 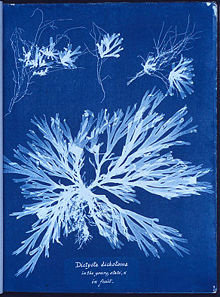 Paper cyanotype prints can be framed (with embellishments or plain), or used for origami, book endpapers, scrapbooking, or collage, etc. This ​two​-day workshop (2 Thursdays, November 17 and December 1, $40, ​plus materials fee) explores the cyanotype and sun-print process with paper and fabric. PLEASE NOTE THESE CHANGES IN DATES, COST, AND WORKSHOP LENGTH. 2 Thursdays, November 17 & December 1, 1:30– 4:30pm (please note dates and times), Judea Reform Education Building. Course ID: 2051. The secret behind The Hero’s Journey course is that it is based upon the principles of mindfulness which reinforces everyday mindfulness practices, and employs the practices of mindfulness techniques applying The Hero’s/Heroine’s Journey to life, past, present, and future. A modified paradigm of Campbell’s work on his monomyth is a strength-based approach to surfacing insights through guided imagery, reflective writing, and group affirmation. The class offers the means to acknowledge the heroism required to traverse life’s journeys, the foundation of your life experiences. Campbell was convinced that the journey of everyman involves facing adversity, transforming, transcending, and leaving a legacy of gifts to humanity and this course generates your personal insights that prove his point. The class is facilitated by Laurina Uribe who has taught the Mindful Hero’s Journey for four years privately and for OLLI. An added benefit is attention to our legacies in a special presentation on Campbell by a guest speaker, Larry Charney, a student in several of Campbell’s conferences. Laurina is one of our instructors who has been profiled in an article (click to view); these profiles help us to know our instructors. Look in the catalog, page 7. Course # 1071. 10 Mondays, September 12–December 5 (please note dates; no class Oct. 3), 11:00am– 12:30pm, Judea Reform Education Building. Are you eager to learn how to enhance your Italic calligraphy? Would you like to embellish unique greeting cards, frame​d​ ​quotations, ​calendars, ​etc., with lovely borders to use as gifts this holiday season? ​Learn the art of “beautiful writing,” the actual meaning of the word calligraphy, and learn some of its many uses. If you can write, you can learn calligraphy. You will learn the italic style of calligraphy, beloved for centuries for its grace and legibility, as well as design greeting cards, simple frameable quotations and calendars. Here are 7 reasons to invest your time in this proven course. Because we’ll cover hands-on cases that make the discussion real … and that you can use to solve your financial problems. Because Wall Street is counting on your NOT to know what you’ll learn in this course. They’ll gladly over-charge you if you’re not paying attention. Because it’s not rocket science. In 10 sessions, you’ll know everything you need to know. Because we’ll shine a light on the behavioral biases that hold you back from financial success. You’ll be surprised at how “wired” we all are to fail … and how self-knowledge is power. Because we’re proven. We have received great reviews and reached almost 100 OLLI members over the past 6 years. To see lead instructor Rick Waechter in action, here is a link to his financial literacy seminar for 300 high school students at Ravenscroft, or click on the nearby YouTube video. Look in the catalog, page 5, course #1771. 10 Mondays, September 12–December 5 (please note dates; no class Oct. 3), 9:00–10:30am, Judea Reform Education Building. OLLI classes are coming to Brier Creek! 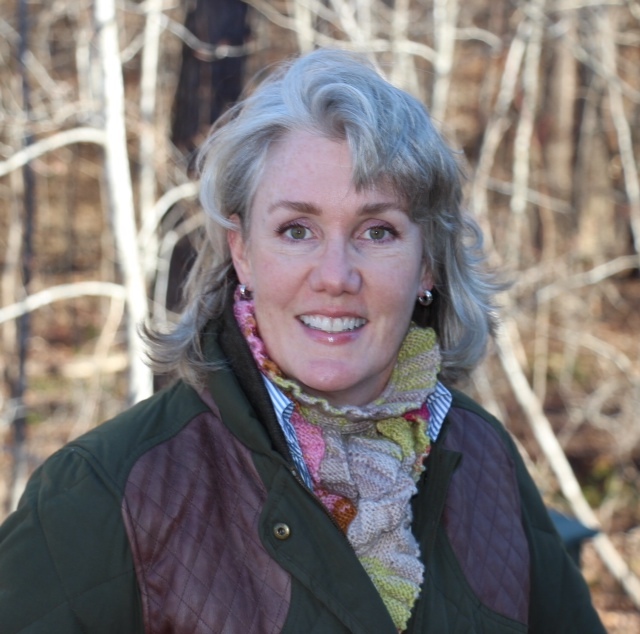 Lise Jenkins will offer her popular cathedrals course at our newest location in the Carolina Arbors community. Located on the eastern edge of Durham county, Carolina Arbors is an active 55+ community located near TW Alexander and Glenwood Ave.
Cathedrals are a popular destinations for tourists and adventures and they have rich stories to tell about their location. This class will teach you how to read their walls and unlock their tales. ​ This five-week class explores the reasons behind the construction, design, and imagery employed in cathedrals. We will examine some of the most loved cathedrals of Britain to learn the basics of Romanesque and Gothic sacred architecture. Class will meet at Piedmont Hall at Carolina Arbors. Look in the catalog, page 47. Curse # 2107. 5 Thursdays, September 15–October 20 (please note dates; no class Oct. 13), 1:30–3:00pm, Carolina Arbors, 3055 Del Webb Arbors Dr, Durham. Maximum: 15. "I'm excited about being involved with OLLI and I think the course will look at some fascinating aspects of sports. 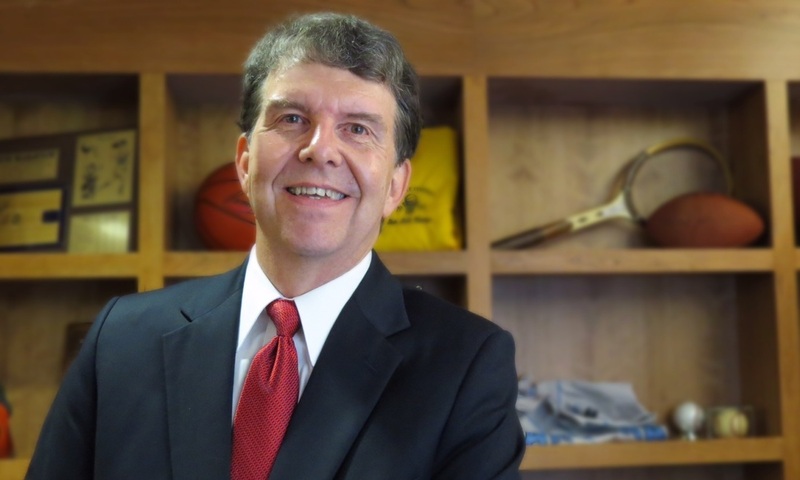 I'm fortunate that my entire professional career has been involved in athletics-- sports editor of a daily newspaper, worked in radio and television, sports information director at two universities, and then 30 years as associate commissioner of the North Carolina High School Athletic Association. I think I've had some real-life experience that is very helpful for discussing these kinds of issues." "One reason we call it "Perspectives from Both Inside and Outside the Lines" is that ethics and issues in sports involve both what happens on the court or field as well as all those other activities that swirl around outside the games themselves . From a football player spraying his jersey with Pam to the influence of drugs and money in sports-- all of those will be fair game for our consideration. It's also fascinating to look at what have been big, national issues in sports in our history and what happened in those situations, and we'll do that as well." Look in the catalog, page 14. Course # 2088. 8 Tuesdays, September 13–November 8 (please note dates), 9:00–10:30am, The Bishop’s House. We want to offer some additional tools to instructors to introduce their course to our members. The catalog gives a space constrained space for textual descriptions of a course, and the instructor's bio. We also suggest use of short video or audio descriptions by the instructor. Gregg McPherson has provided us with a sample audio recording which contains tips on how to do an audio recording. We recommend short audios .... 1 - 3 minutes ... shorter than our 5 minute instructional audio. Save your audio recording as an MP3 file and we can put it into an audio player like the one nearby. Listen to the 5 minute audio by clicking on the player above; click on the play symbol at the left end of the black bar. If this doesn't work, just click HERE. Depending on your device and browser, this may download an audio file which you will have to OPEN to cause it to be played. And read the script of the audio HERE which will download a PDF file. 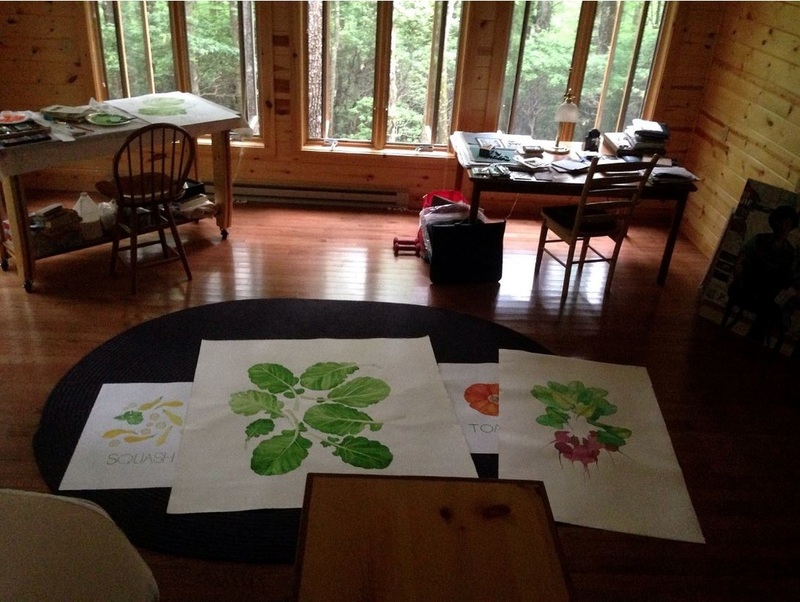 We are working to get some instructional material for instructors who wish to create a Course Video. One of our very video-capable instructors created a video which you can view in Course Videos. We believe that simpler videos, created using an iPad, or smart phone, will also be highly effective.